Welcome to E-Commerce Trading Floor of Vietnamworks! Before using the Vietnamworks website that including services or tools, you must agree with the following Terms and Conditions of website: If you have any questions about these Terms and Conditions, please contact directly to Service team of E-Commerce Trading Floor of VIETNAMWORKS. The objective of this document is to set out the accept of Terms and Conditions between E-Commerce Trading Floor of Vietnamworks and users. E-commerce trading floor of Vietnamworks has right to change, modify, add or remove any part of these Terms and Conditions, at any time. the changes take effect immediately when they are posted on a website without notifying in advance. Please check these conditions to update the changes. And when you continue to use the website after changing the Terms and Conditions posted, it means that you accept those changes. When you visit the website of E-commerce trading floor of VIETNAMWORKS, users must be at least 18 years-old or access under the supervision of a parent or legal guardian. E-commerce trading floor of VIETNAMWORKS grants it's Member a non-transferable and voidable license to use the website under Conditions and Terms set out for the purpose of purchasing personal care products that sold in Website. It is strictly prohibited to use any part of this website for commercial purposes or on behalf of any third party without the written permission of E-commerce trading floor of VIETNAMWORKS. If you violate any item of these terms and conditions, E-commerce trading floor of VIETNAMWORKS will cancel this license of the Member without notifying in advance. This website is only used to provide the information about product. Some relevant services and features may only show when they are registered. When Members agree to register the relevant services or features, they must provide authentication information about themselves and must update if there are any changes. Each user of the website shall be responsible for keeping secret their password and account identification information. Account holder shall be fully responsible for all activities that carried out under their username and password registered. Moreover, Members shall notify the E-commerce trading floor of VIETNAMWORKS when their account and password are accessed in an unauthorized manner. E-commerce trading floor of VIETNAMWORKS shall not be responsible, whether directly or indirectly, for damage or loss caused by a Member's noncompliance with regulations. During the registration process, Members agree to receive the advertising emails from website. Then, if Members wouldn't like to continue to receive mails, they can refuse by clicking on the link at the bottom of every advertising emails. E-commerce trading floor of Vietnamworks is the website: www.vietnamworks.com under Navigos Group Vietnam Joint Stock Company ("Navigos").. This is the webstie of E-commerce trading floor where organizations and individuals can make sales. 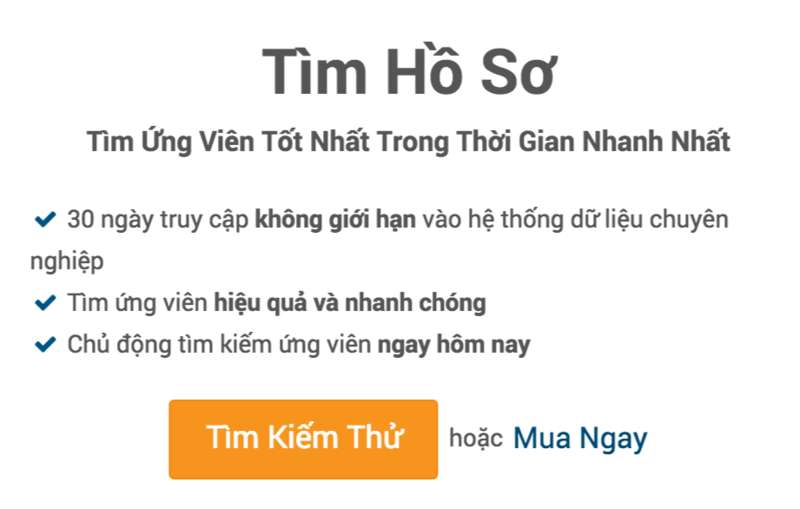 Members: include candidates and employers who register the use of the website of Vietnamworks to watch the jobs posted by other users or post the recruitment notices. Product: it is one or more available services in Service List of VietnamWorks through Orders and/or Service Contracts. Intellectual Property: any patent, copyright, design registered or unregistered, the rights for designs and trademarks registered or unregistered, service marks or other industrial or intellectual property rights and it includes applications for any item of above items. E-commerce trading floor of Navigos Group Vietnam Joint Stock Company (address of website: www.vietnamworks.com hereinafter referred to as “E-commerce trading floor of VIETNAMWORKS” or “VIETNAMWORKS”) designed to allow users to post the recruitment notices and/or watch the jobs posted by other users, or interact with other users. All activities of providing services on E-commerce trading floor of VIETNAMWORKS are conducted openly and transparently, ensuring the right of consumers. They have full capacity for civil acts. The members can access this website at any time, anywhere and they shall fully implement the provisions of this Regulation. Members shall protect their password and monitor the information related to the Member's account; Members understand and agree that the Member will be responsible for that their account is used by anyone with the permission of Members to access into it. The information that Members provide to E-commerce trading floor of VIETNAMWORKS shall be accurate, complete and true. The contents of this Regulation shall comply with the current legal system of Vietnam. Members participating in E-commerce trading floor of VIETNAMWORKS shall learn by themselves about their legal responsibilities to existing law of Vietnam and the commitment to comply with the contents in Regulation of E-commerce trading floor of VIETNAMWORKS. Registration on Vietnamworks is fast & free. User can register as a member through your available linked accounts on Facebook and Google or create a new account by filling information in the above document. When you register to become a Member of E-commerce trading floor of VIETNAMWORKS and approved by E-commerce trading floor of VIETNAMWORKS, Members will be able to apply for suitable positions posted on E-commerce trading floor of VIETNAMWORKS. After creating a new account, Member shall be fully responsible for the password and other information of account. If Member's account is illegally used, it is the direct responsibility of Member. E-commerce trading floor of Vietnamworks have right to investigate, eliminate or reject your information. Members have the right to hide the "Telephone" information for employers. After completing information, Member clicks "Save" to save the information filled. Member can introduce himself and describe his occupation. Member clicks "Save" to save the information filled. Member clicks "Save" to save the information fields. After completing the above steps, Members have created for themselves a complete Application and they can be ready to apply for a job they wish. When selecting this function, Members can register Recruitment notices to receive jobs via email in accordance with Member's search criteria. Members click on "Create New"
Member information will be showed at the top of Website as above, including: Information about Company, Address, Salary offered. Members have two choices: "Job Posting" and "Resume Search"
Members wishing to post recruitment notice can click on "Buy Now" to order and pay Service package of Job Posting. Power: 30 days of Job Posting, Bold & Red Added, Occupation preferred. Members wishing to post recruitment notice can select the package of Suitable service and buy service by clicking on "Buy Now". Include suggestions of "products often bought" list and "Finding Resumes" package that other Members often use so that users can easily select. These showed contents will be updated/changed frequently by E-commerce trading floor of Vietnamworks. After successfully clicking to select the products that need to buy, Members click on "Submit Order" button to submit orders to E-commerce trading floor of Vietnamworks. E-commerce trading floor of Vietnamworks will contact Members to sign the contract and carry out service. Members wishing to search candidates can click on "Try a search" button to experience the service of Searching applications and access resumes of candidates on the data system of E-commerce trading floor of Vietnamworks or click on "Buy Now" button to order and pay for the service package of Searching resumes. Or Members can search more specifically by creating resume notice to save search results and receive email of E-commerce trading floor of Vietnamworks when candidates appear. 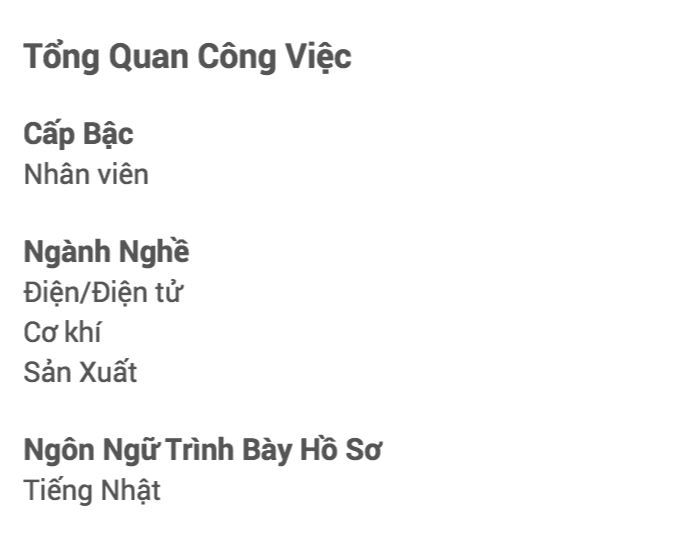 When selecting suitable candidates, Member will be provided with the candidates' information by E-commerce trading floor of Vietnamworks as shown below. However, in order to view the information to contact candidates, Members shall register to use the package of Search Service of E-commerce trading floor of Vietnamworks. In addition, Members can store and send the resumes or search the corresponding resumes in the database of E-commerce trading floor of Vietnamworks. That are contrary to the law of Vietnam and international law, violate the rights of third party, and be contrary to the policies of E-commerce trading floor of Vietnamworks. To illegally use another person's account. To use the application data of E-commerce trading floor of Vietnamworks for any purpose when you are an employer seeking candidates, including but not limited to use the information in this database to sell or introduca any product or service. Send a letter or email, make a call or send a fax relating to the promotion and/or advertising of products or services to the other Members of E-commerce trading floor of Vietnamworks. Use a virus, malware ... affecting the operation of E-commerce trading floor of Vietnamworks or violate the property right of the users/Members. Copy or modify website's content, including copyright, logo, brand. Use other user's information without consent. Suspend/terminate the operation of the account. Fine or make legal sanctions for violations of damage. If there is a conflict, the conflict should be resolved between the members together. 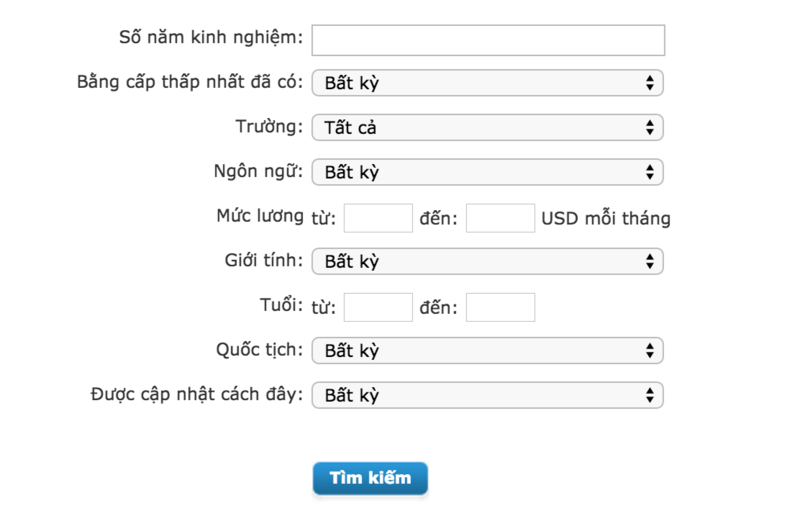 Vietnamworks e-commerce transaction is possible, but not required, given the non-binding advice. If the conflict can not be resolved between the two parties, the legal action will be applied. E-commerce trading floor of Vietnamworks will not involve or participate in this conflict. Seller and buyer agrees to keep E-commerce trading floor of Vietnamworks, including associated companies and any director, officer, employee, contractor, or agent of E-commerce trading floor of Vietnamworks, from any conflict occurred between the seller and buyer. Any negligence or fault of the Member. Any violation caused by Member of the information presented on website. 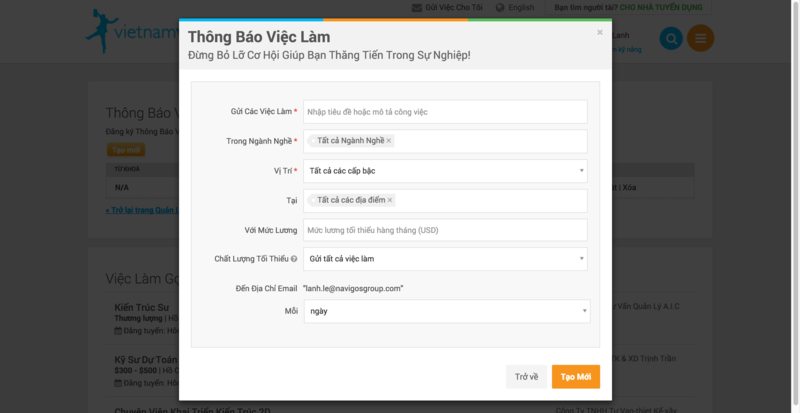 Click the inbox "I agree to the Terms and Conditions" means that you agreed with these Terms and Conditions of E-commerce trading floor of Vietnamworks. E-commerce trading floor of Vietnamworks commits to make effort to ensure the safety and stability of the entire technical system. However, in the event of an incident caused by members, E-commerce trading floor of Vietnamworks will immediately adopt measures to ensure the interests of buyers. When making transactions on floor, forced the members must comply with the instruction procedures. However, the Management Board of E-commerce trading floor of Vietnamworks will not be responsible in case settlement inform the Members of the Management Board does not reach, arising from technical errors, communication line failure, software or Other errors are not caused by the Management Board. If a dispute arises between the member and E-commerce trading floor of Vietnamworks, then E-commerce trading floor of Vietnamworks tries to provide a neutral method and save to resolve the dispute quickly. Accordingly, Member and E-commerce trading floor of Vietnamworks agree that E-commerce trading floor of Vietnamworks will legally settle any claim or agument out of this Regulation or the services of E-commerce trading floor of Vietnamworks suit in the appendix below or as Exchange e-commerce and Member VIETNAMWORKS written consent. Before using the alternative measures, Exchange e-commerce encourages Member to first contact E-commerce trading floor of Vietnamworks to find appropriate solutions. E-commerce trading floor of Vietnamworks will consider reasonable requests to resolve the dispute through the dispute resolution procedures instead, such as arbitration, alternative to litigation. Immediately after the occurrence of complaints. VIETNAMWORKS will base each particular case to the settlement as appropriate. Any dispute between users or between users with E-commerce trading floor of Vietnamworks be resolved on the basis of negotiation. Where no agreement is reached as expected, either party may bring the case to the People's Court has jurisdiction to resolve. Member shall pay Service Fee (if any), no later than the payment date specified on the order. The ordered services will be activated within three (03) working days from the date that Member pays Services Fee. If the payment date passes but the Member has not made payment for service fee, VIETNAMWORKS has right to suspend provision of services until the payment has been fully done. VIETNAMWORKS will issue VAT invoices under the provisions of the current law of Vietnam upon customer's request. Customers shall be responsible for the accuracy of the information of VAT invoice. Management of Members' Information: When Members register participation on E-commerce trading floor of Vietnamworks, They shall provide full information and be completely responsible for this information. The specific information includes the personal information for individuals, information on the legal status for members who are the organizations, legal entities. This information will be put into management data by E-commerce trading floor of Vietnamworks. 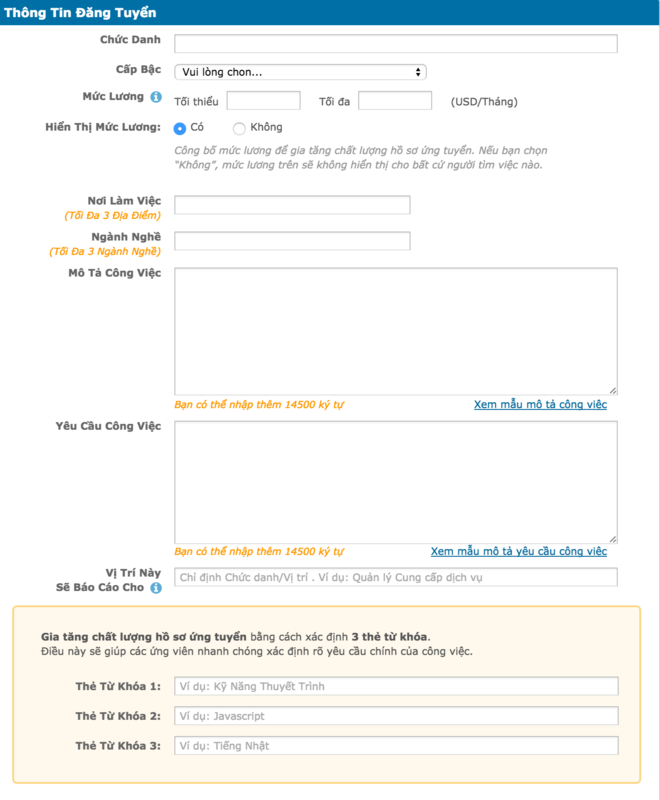 When becoming a Member on Vietnamworks.com: Member shall register a commitment to the reputation and biographical information, information about job application, information about jobs in accordance with title, description posted on E-commerce trading floor of Vietnamworks. 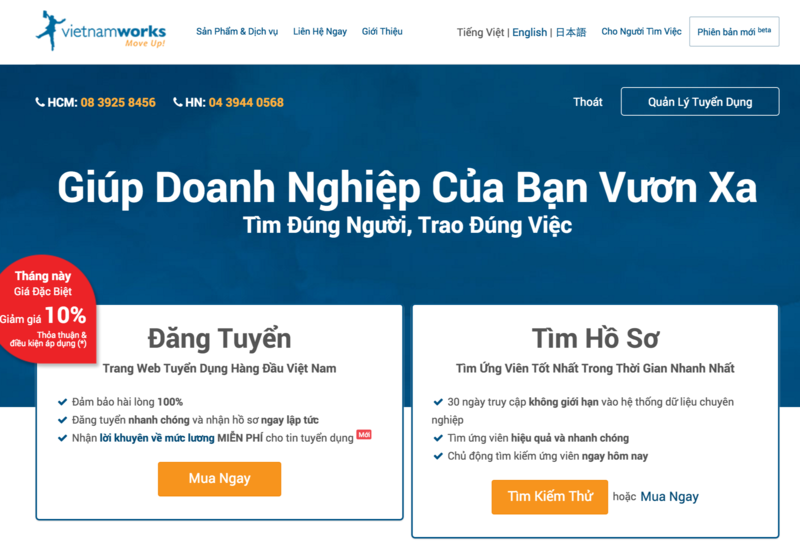 Mechanism to send complaints about Members for the Customers: Customers have the right to send complaints about the members/employers who post incorrect information on E-commerce trading floor of Vietnamworks. Upon receiving this feedback, E-commerce trading floor of Vietnamworks will confirm the information, if it is true as reflected, depending on the degree, E-commerce trading floor of Vietnamworks will take steps to promptly handle to protect the benefits of Members. E-commerce trading floor of Vietnamworks commits to keep security of personal information of members, and will make best effort and use all appropriate means so that the information member provides E-commerce trading floor of Vietnamworks is kept security and protected from unauthorized access. However, E-commerce trading floor of Vietnamworks shall not ensure to prevent all unauthorized access. In case of unauthorized access is out of the control of E-commerce trading floor of Vietnamworks, E-commerce trading floor of Vietnamworks shall not be responsible in any forms for any claim, dispute or damage arising from or related to unauthorized access. Members understand and agree that E-commerce trading floor of Vietnamworks may disclose to third party, by an anonymous falcility, some combined information contained in the applications of Members on E-commerce trading floor of Vietnamworks will not be disclosed to any third party, your name, address, email address or your phone number without your prior consent, except for certain necessity or it is appropriate to comply with current law or in the legal processes where such information is appropriate. Members are recommended to clearly understand their rights when using the services of E-commerce trading floor of Vietnamworks provided on this website. E-commerce trading floor of Vietnamworks gives following commitments in accordance with the provisions of the law of Vietnam, including the ways in which E-commerce trading floor of Vietnamworks uses to keep privacy of Members. E-commerce trading floor of Vietnamworks will use the information that you provide to provide you with the services and information via the website, and other things you ask. In addition, E-commerce trading floor of Vietnamworks will use that information to manage your account; verify and implement financial transactions related to your online payments; check the downloaded documents from the website of E-commerce trading floor of Vietnamworks; improve interface and/or contents of website and customize them for users; recognize persons who visit website; send you the information that E-commerce trading floor of Vietnamworks thinks that it will be useful for you or you request from E-commerce trading floor of Vietnamworks, including information on the products and services of E-commerce trading floor of Vietnamworks if you do not refuse to contact for these purposes. When receiving your permission, E-commerce trading floor of Vietnamworks will contact you by email with details of other products and services. If you not wish to receive promotional information sent by E-commerce trading floor of Vietnamworks, You can refuse at any time. 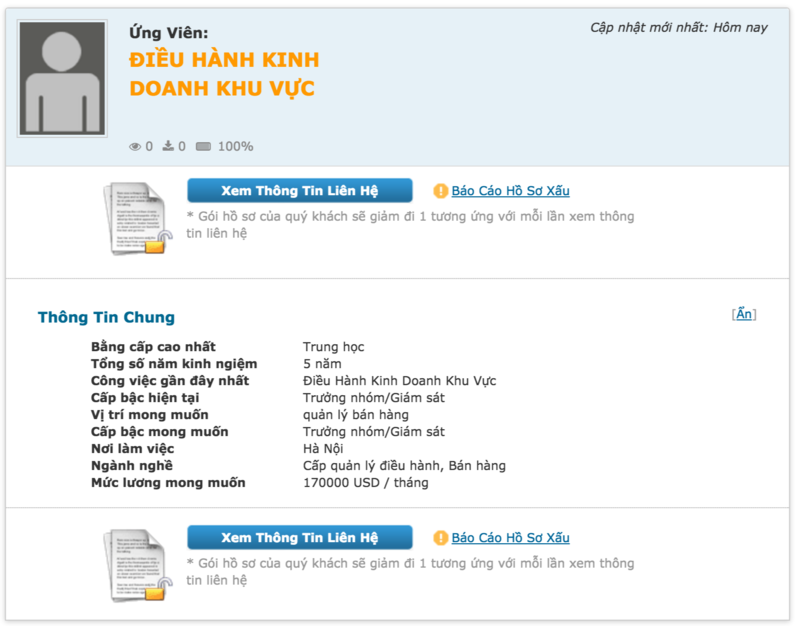 If you select to provide E-commerce trading floor of Vietnamworks with personal information, you agree with the transfer and storage of such information on Home of E-commerce trading floor of Vietnamworks. E-commerce trading floor of Vietnamworks collects information in several ways from different parts of our website. Some personal information is collected while registering, we will ask your name and your email address. The system can also ask a street address, city, state/province, zip/postal code, country, phone number, payment information and server address (URL) of your website, although only the fields marked with * on the registration part that is mandatory information. E-commerce trading floor of Vietnamworks also collects or may collect demographic information that is not only from you such as age, preferences, gender, interests and hobbies. Sometimes we collect or may collect a combination of two types of information. Once you register, you are no longer anonymous to E-commerce trading floor of Vietnamworks, you have a username and can fully use the products/services of E-commerce trading floor of Vietnamworks. In addition to registration information, sometimes we may ask you for personal information including (but not limited to) when you post job information or exploit other features of E-commerce trading floor of Vietnamworks. If you contact us, we may keep a memo about this contact. Identify and label all the jobs "New" from your last time of visiting website. Save as required or permanently username and password on your computer so you do not have to enter it each time you visit our website. Allow you to "check list" of the jobs that you want to mark to retain and view later. The advertising networks of company posting jobs on E-commerce trading floor of Vietnamworks also can use their own cookies. E-commerce trading floor of Vietnamworks will also collect and can gather certain information about using E-commerce trading floor of Vietnamworks, such as areas you visit and services you access. In addition, E-commerce trading floor of Vietnamworks can also gather information about hardware, software on your computer. This information can include but not limited your IP address, browser type, domain names, access items and reference website addresses. By providing your information, you agree with E-commerce trading floor of Vietnamworks, the associated companies, affiliated units and members under Navigos Group may use your personal information, whether it is through personal, demographic, collective or technical, for the purpose of operating and improving E-commerce trading floor of Vietnamworks, enhancing utility for users or introducing and distributing products and services. We also may use the information collected to inform you of other products and services by E-commerce trading floor of Vietnamworks or partner companies to offer, or to ask your opinion on products and existing service or product and potential new services. We also may use your contact information to send you emails or other communications regarding updates at VietNamworks website. The content and frequency of these messages will depend on the information that we hold about you. Also, at registration, you have the option of receiving the information, announcements and promotions including but not limited to the free newsletter from E-commerce trading floor of Vietnamworks concerning topics you can be specially interested. We have an area where you can contact us. Any feedback you send to us will become our property and we may use such feedback (such as the story Successful) for marketing purposes, or to contact you for additional information. When asked about personal information on website of VietNamworks, it means that you are sharing that information with own E-commerce trading floor of Vietnamworks, unless specifically stated otherwise. However, some activities by their nature, will lead to your personal information being revealed to other users of E-commerce trading floor of Vietnamworks to know. For example, when you enter your personal information to a recruitment advertising, this information will be included in general in your job, unless specifically stated otherwise. We do not disclose to third parties about your personal information, as well as personal information and demographic combination, or information about using E-commerce trading floor of Vietnamworks (such as the areas you visit or the services you access), except in the following items. We may disclose such information to third parties if you agree. 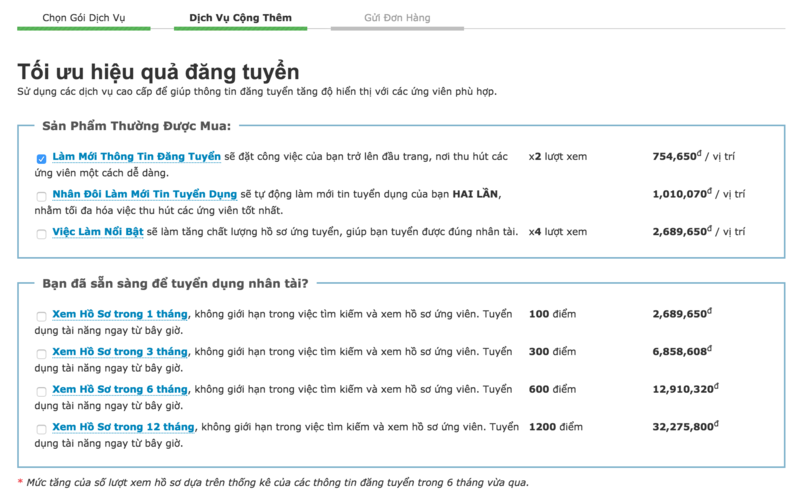 For example, if you indicate that you wish to receive information on products and services of third parties when registering an account on E-commerce trading floor of Vietnamworks, we may provide your contact information for parties, for example, employers, people collect data, market staff or others with intent to email you or contact you in other ways. We may use data we have about you (such as the interests and preferences you have expressed) to determine whether you might be interested in the products or services of a particular third party does not have. We may disclose such information to companies and individuals we employ our behalf to perform the functions of the company. For example, storing web servers, analyzing data, providing marketing assistance, processing credit card or other payment forms, and services to members. These companies and individuals will have access to your personal information as needed to perform their functions, but did not share that information with any other third parties. We may disclose such information if legally required, or from a government agency or if we believe such action is necessary to: (a) comply with legal requirements or under process of law; (b) protect and defend the rights or property of Navigos, or the partner companies; (c) prevent a crime or protect national security; or (d) protect the personal safety of users or the public. We may disclose and transfer such information to a third party who acquires all or a substantial portion of the business activities of Navigos, by way of merging, consolidating or purchasing all or most our assets. Additionally, in situation that Navigos becomes the subject of a bankruptcy proceeding, whether voluntary or involuntary, Navigos or trustee may sell, license or otherwise disclose such information in a different way in transition if approved by the bankruptcy court agrees. We may use your name, company name instead of your logo or other information on or from the job advertisement or account view your resume for any and all marketing purposes Navigos (or E-commerce trading floor of Vietnamworks ). For example, the name or company logo can be used in newspaper ads, direct mail, sales vehicles, posters and other material related to E-commerce trading floor of Vietnamworks or asset of Navigos. E-commerce trading floor of Vietnamworks may also share anonymous information about visitors to one of the company's Web (for example, the number of visitors to the 'Find Jobs' on E-commerce trading floor of Vietnamworks) to the Members, for partners and other third parties so that they can understand the kinds of visitors to E-commerce trading floor of Vietnamworks and how they use the site. E-commerce trading floor of Vietnamworks can support, hosting and other related services to other leading companies to establish a recruitment section on its Web site (sometimes called "recruitment area "). Personal information and/or demographic information supplied by you in the recruitment sector to become part of a database of E-commerce trading floor of Vietnamworks, but no one except you can access, and Navigos company concerned without your consent. Personal data of members will be stored until a request for cancellation or self-member login and perform cancellation in case of personal information will be kept confidential membership on the server of E-commerce trading floor of Vietnamworks. 4. The address of the units that collect and manage personal information. Floor 20, E.Town Central, 11 Doan Van Bo Street, Ward 12 District 4, Ho Chi Minh City, Vietnam. The options available to you to collect, Use and Distribute Personal information. If you select not to register or provide personal information, you will not be able to use most of the features of E-commerce trading floor of Vietnamworks. You also have choices with respect to cookies. By changing the priorities in your browser, you can choose to accept all cookies, to be notified when a cookie is set, or remove all cookies. If you choose to reject all cookies, you will not be able to use the services of E-commerce trading floor of may require registration. But use this service include the identification of new jobs have been posted since The last visit, auto login and check lists. The features can still use most of the features of the recruitment website Vietnamworks even if you do not accept cookies. We will provide you with the means to ensure that your personal information is accurate and updated. You can edit or delete your profile at any time by clicking on the "My Profile" link or graphic provided by the system as soon as you log on. 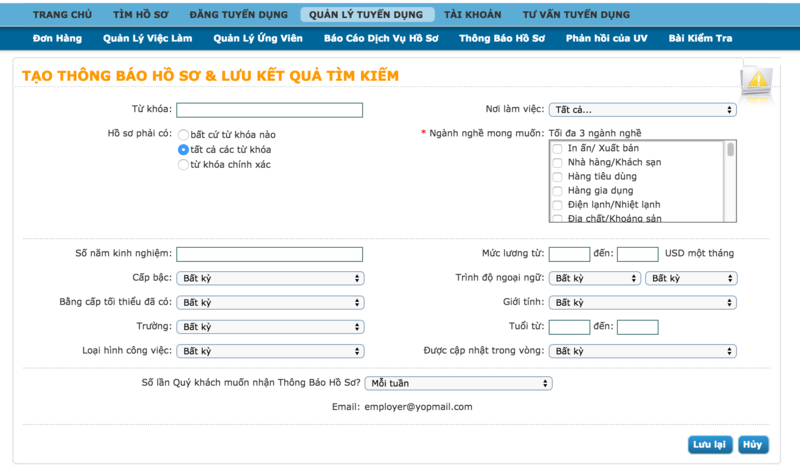 Once logged into the system in a certain time period, even where you are on the recruiting website of E-commerce trading floor of Vietnamworks your information will be kept until you click on the "Log off" is link can be accessed from the screen "My Profile"
If you are a registered user and forgot your password, you can receive it by email by using the "Forgot Password" button on any login page to request your password for you. We can not provide your password by any other means. Your account on E-commerce trading floor of Vietnamworks can be deleted, but doing so will result in not being able to access any feature that requires to sign. We will or may keep a cached copy of Your account but can not access the Internet. The Safety precautions against the loss, misuse or change your Information. 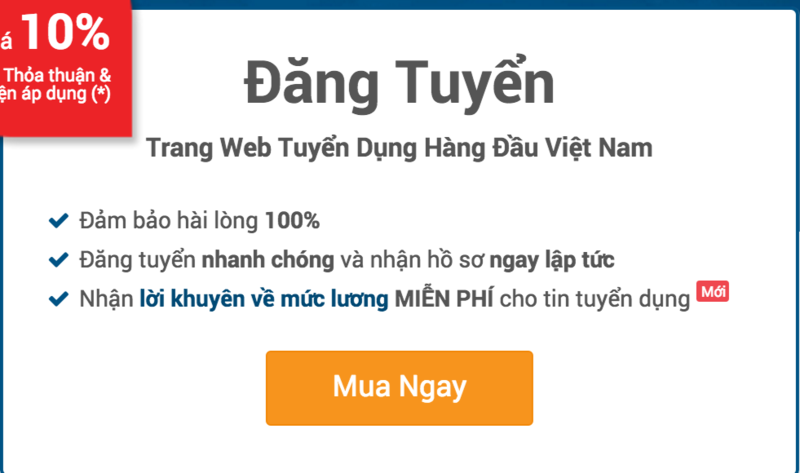 In addition to the administrators of E-commerce trading floor of Vietnamworks or other authorized individuals of E-commerce trading floor of Vietnamworks, you are the only person who has access to personal information used to sign your minh.Dang protected password to prevent unauthorized access. We recommend that you do not divulge your password to any E-commerce trading floor of Vietnamworks that never asks for your password over the phone or in an unsolicited email. To ensure safety, you may want to logoff when finished using E-commerce trading floor of Vietnamworks. This ensures that others can not access to information and your personal correspondence if you share a computer with someone else or are using a computer in a public place like a library or Internet cafe. Unfortunately, no data transmission over the Internet can be secured of 100%. Therefore, although we do our best protect your personal information, E-commerce trading floor of Vietnamworks can not ensure or warrant the security of any information you transmit to us or Online services from us, and you have to take risks. As soon as we get the information you send, we will try our best to ensure safety on our system. If you are worried about your data, you may request access to your personal data that E-commerce trading floor of Vietnamworks holds or deals with. 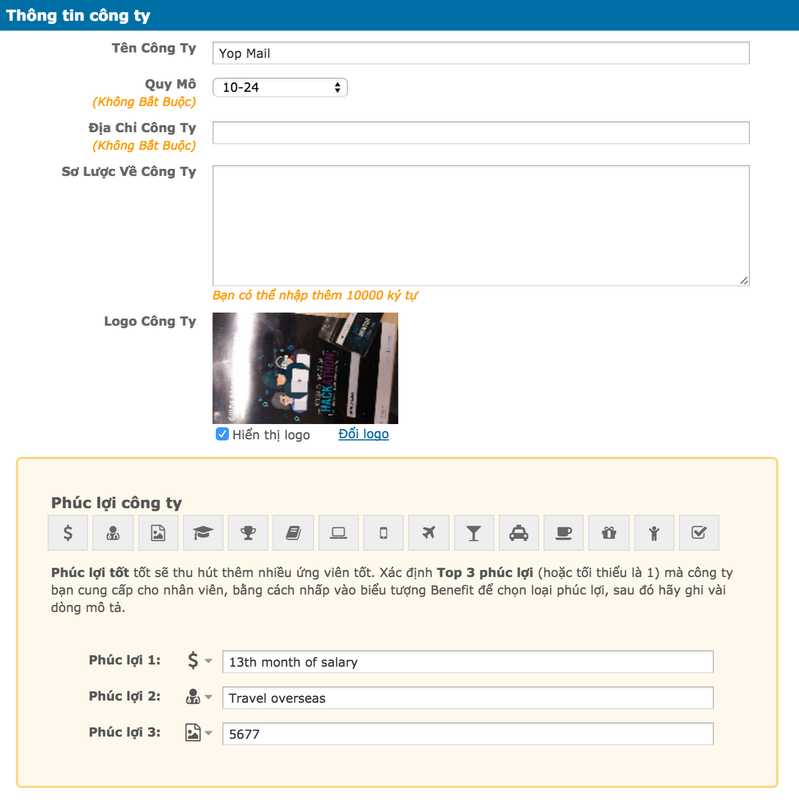 You may request E-commerce trading floor of Vietnamworks and edit incorrect date free. You exactly a well may demand E-commerce trading floor of Vietnamworks stop using your personal information for marketing purposes. How does E-commerce trading floor of Vietnamworks protect privacy of children. E-commerce trading floor of Vietnamworks is website with amount of large audiences. Children shall have parental permission before sending personal information online to someone. E-commerce trading floor of Vietnamworks may not share personal information about users under 13 years old with third party. In addition, E-commerce trading floor of Vietnamworks will not send any direct email to offer users to indicate they are under 13 years old. Keep in mind that whenever you voluntarily disclose personal information online, for example through the jobs you post or through email, that information can be collected and someone else uses, summaries if you post personal information online and may be accessible to the public, you may receive will be the voluntary notification from the other partners. Ultimately, you are solely responsible for maintaining the secret of your passwords and/or account information. Please be careful and responsible whenever you're online. E-commerce trading floor of Vietnamworks has technical measures and appropriate security to prevent unauthorized access and illegal to your personal information, or the loss, destruction and damage to information accidentally. When E-commerce trading floor of Vietnamworks crawlers through websites, E-commerce trading floor of Vietnamworks collect your personal data on a secure server. E-commerce trading floor of Vietnamworks uses a firewall on the machine chu. When E-commerce trading floor of Vietnamworks retrieve data card electronic payment, E-commerce trading floor of Vietnamworks will use encrypted using Secure Socket Layer (SSL). Although E-commerce trading floor of Vietnamworks can not guarantee 100% secure, hackers also hard to decipher your data. You should not send the full details of your credit or debit card without encryption for E-commerce trading floor of Vietnamworks. E-commerce trading floor of Vietnamworks protects and maintains physical, electronic and procedures associated with the collection, storage and disclosure of your information. Process protection of E-commerce trading floor of Vietnamworks may occasionally request proof of identity before disclosing any personal information Are you responsible for the protection from unauthorized access to confidential Export and your computer. Personal information of members on E-commerce trading floor of Vietnamworks are absolutely committed to policies protecting personal information in E-commerce trading floor of Vietnamworks. The collection and use of information by each member shall be made only upon the consent of the customer, except in the case of other legal provisions. Not to use, transfer, provide or disclose to any third party about personal information of members without permission from the members. In the case that host information attacked by hacker resulting in the loss of personal data of member, E-commerce trading floor of Vietnamworks shall be responsible for informing the matter to the authorities to carry out the investigation promptly and inform members. Management Board of E-commerce trading floor of Vietnamworks requires individuals to register as a member, to provide full information regarding such individuals: full name, contact address, email, identity card number, phone number etc and shall be responsible for the legality of the above information. Management Board of E-commerce trading floor of Vietnamworks shall be not responsible for resolving all complaints related to the rights of members if it deems as that all personal information provided by that member when the initial registration is incorrect. All the following rules applied to pre-test and post-test stages of BQT Vietnamworks if it detects their violations during operation to aim at creating a safe, healthy and fair environment to all Members and members are operating in Vietnamworks. Therefore BQT Vietnamworks recommends that Members should learn these rules carefully before posting any information to avoid non-intentional violations. These new regulations will be constantly updated Leaders based on an analysis of market, community, the problems arising during operation and they are effective immediately when posted on the website of E-commerce trading floor of Vietnamworks. Account name related to Vietnamworks, the nicks imitating BQT Vietnamworks such as: Admin Vietnamworks, Webmaster, combined with the avatar with a image that is Vietnamworks' logo and considered as an account imitating Vietnamworks. Avatar represents recruitment companies violating the intellectual property assets of other companies. Candidates: Post title shall be job position that candidates apply for. In the job description, job description may be presented in Vietnamese and/or English. When it is presented in Vietnamese, the language must have signs, not abbreviated, not used teen language, chat language that confuse readers. Job description shall indicate the characteristics of jobs, not described sketchily or not described. It must complete contents listed. Every job description violating the above provisions are not approved to post, or approved to posted but contact information will be deleted by Vietnamworks. Approve but delete contact information. Refuse to approve and remind. E-Commerce Trading Floor of VIETNAMWORKS commits to make effort to ensure the safety and stability of the entire technical system. However, in case of an incident caused by E-Commerce Trading Floor of VIETNAMWORKS. 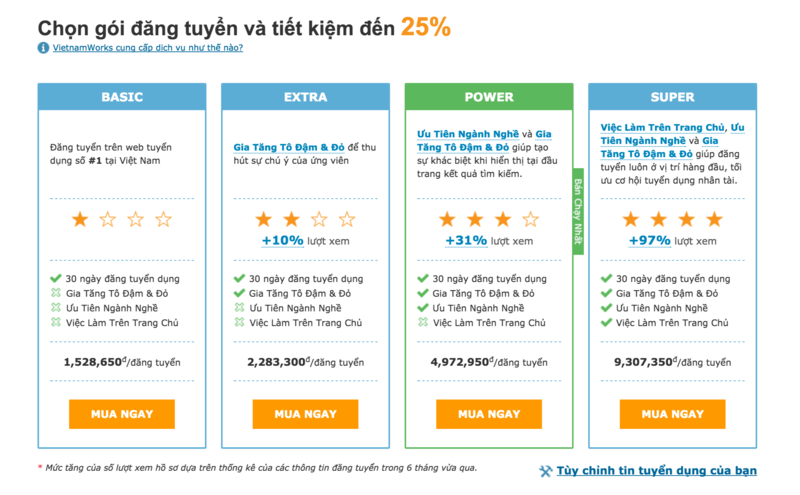 VIETNAMWORKS will immediately adopt measures to ensure the rights for customers. When making transactions on floor, it is compulsory for members to comply with instruction procedures. Management Board of E-Commerce Trading Floor of VIETNAMWORKS commits to provide the best service quality to members participating in transactions. Where it arises a technical error, software error or other errors resulting in that Members can not operate, then Members shall notify Management Board of E-Commerce Trading Floor of VIETNAMWORKS: Tel: (84 28) 3925 8456. However, Management Board of E-Commerce Trading Floor of VIETNAMWORKS will not be responsible in case that Management Board does not receive the notification of Members that arising from technical errors, transmission error, software error or other errors not caused by the Management Board. When you register to become a Member of E-Commerce Trading Floor of VIETNAMWORKS and approved by E-Commerce Trading Floor of VIETNAMWORKS, Member will be provided with a registration name and password to use services such as creating and posting resumes to apply for job positions that Member feels appropriate and/or receives the newsletter or suggestions suitable to records of Member on the email address registered with E-Commerce Trading Floor of VIETNAMWORKS. 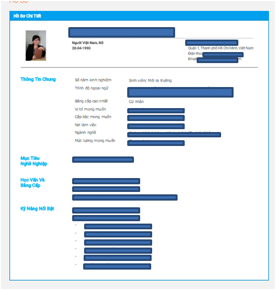 Member manages his resume and information about his job position on E-Commerce Trading Floor of VIETNAMWORKS. Members shall be instructed to use the tools, service features for building job information and use the utility services by the staff of E-Commerce Trading Floor of VIETNAMWORKS on E-Commerce Trading Floor of VIETNAMWORKS. Members may be entitled to enjoy the preferential policies that provided on E-Commerce Trading Floor of VIETNAMWORKS by E-Commerce Trading Floor of VIETNAMWORKS of third parties. These preferential policies will be resolved by E-Commerce Trading Floor of VIETNAMWORKS (if any) and they will be posted directly on E-Commerce Trading Floor of VIETNAMWORKS or sent directly to the member. Member has right to contribute his ideas to E-Commerce Trading Floor of VIETNAMWORKS during operation. The recommendations are sent directly by letter or email to E-Commerce Trading Floor of VIETNAMWORKS. Members will be responsible for the security, storage and use of all activities under their registration name, password and e-mail box by themselves. Members are responsible for timely notifying E-Commerce Trading Floor of VIETNAMWORKS about unauthorized use, abuse, violation of security, storage of registration name and password to mutually cooperate to handle. Members commit to provide information for E-Commerce Trading Floor of VIETNAMWORKS and the information posted on E-Commerce Trading Floor of VIETNAMWORKS is accurate and complete. Members agree to maintain and change the information on E-Commerce Trading Floor of VIETNAMWORKS is updated, accurate and complete. As users, Members should take responsibility for own communication and they are responsible for the results of their posting. Members are not allowed to do things such as posting contents copyrighted if members are not the copyright owners or it is not allowed by the copyright owner to post; the posted contents disclose trade secrets if member is not owner or he does not have permission from the owner; posting content that violates any intellectual property right of others or any privacy or publicity right of others; posting obscene contents, dishonoring, threatening, disturbing, shaming or obstructing any other users or any other persons or other organizations; posting the information without topics or with special topics; posting a photo or sexual content; posting advertisements or solicitation of business or posting content that contains viruses, Trojan, time bombs ... or other procedure or computer programs with the aim of destroying, obstructing, preventing, tricking or expropriating any system, data or information. Members are responsible for the content, image of Enterprise information and other information as well as the whole process of making transactions with partners/candidates on E-Commerce Trading Floor of VIETNAMWORKS. Members shall comply with the provisions of law on payment, advertising, promotion and protection of intellectual property right, and the provisions of other relevant legislation to participate in E-Commerce Trading Floor. Members commit, agree not to use the services of E-Commerce Trading Floor of VIETNAMWORKS for illegal purposes, inappropriate purposes that defrauding, threatening, visiting illegal information, destroying, creating and spreading viruses that damaging the system, configuration, transmission of information on E-Commerce Trading Floor of VIETNAMWORKS In case of violation, member shall be responsible for their acts before the law. Members commit not to alter, modify, copy, spread, distribute, provide and create the same tools of E-Commerce Trading Floor of VIETNAMWORKS, provide a third party without the consent of E-Commerce Trading Floor of VIETNAMWORKS in this Regulation. Members shall not act in a manner of cause discredit to E-Commerce Trading Floor of VIETNAMWORKS in all forms as causing disunity among Members by using the second registration name, through a third party or propaganda, disseminating disadvantage information to the reputation of E-Commerce Trading Floor of VIETNAMWORKS. To use the application data of E-commerce trading floor of Vietnamworks for any purpose when you are an employer seeking candidates, including but not limited to use the information in this database to sell or introduce any product or service. Send a letter or email, make a call or send a fax relating to the promotion and/or advertising products or services to other members of E-Commerce Trading Floor of VIETNAMWORKS. Members shall be aware of and agree that Members will be responsible for the form of content and accuracy of any resume or documents contained therein posted by Members on E-Commerce Trading Floor of VIETNAMWORKS. E-Commerce Trading Floor of VIETNAMWORKS will carry out providing the services to Member after completing the required procedures and conditions that include (but not limited) the information about Member intends to be posted on E-Commerce Trading Floor of VIETNAMWORKS. 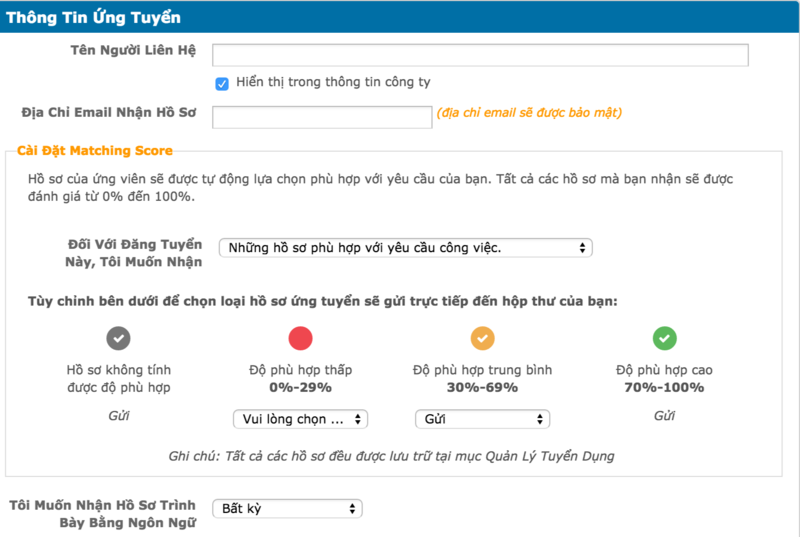 In case that there is basis to demonstrate that Member provides information for E-Commerce Trading Floor of VIETNAMWORKS and that information is inaccurate, misleading, incomplete or violates the law or the habits and customs of Vietnamese, E-Commerce Trading Floor of VIETNAMWORKS have the right to refuse, suspend or terminate the right to use the services of Members. E-Commerce Trading Floor of VIETNAMWORKS may terminate Membership and right to use one or all services of the Member and will inform Member in advance for at least one (01) months in case of that Member violates the Regulation of E-Commerce Trading Floor of VIETNAMWORKS or his behaviors affect business activity on E-Commerce Trading Floor of VIETNAMWORKS. E-Commerce Trading Floor of VIETNAMWORKS may immediately terminate the service use right and Membership if E-Commerce Trading Floor of VIETNAMWORKS finds member's bankrupt, member convicted or during time served, in case that Members' continuous operation can harm E-Commerce Trading Floor of VIETNAMWORKS with fraudulent activities, counterfeit activities, causing market disruption, causing disunity to other members of E-Commerce Trading Floor of VIETNAMWORKS, activities violate current law of Vietnam. In case of termination of membership and service use right, all the certificates, membership right granted shall automatically expire and be terminated. E-Commerce Trading Floor of VIETNAMWORKS is not responsible when Members/users use other people's email for spam purpose, destroying or sending bad information with depraved nature, affecting the owner of that email. The acts and contents violate law then Members/users will take responsibility before law. E-Commerce Trading Floor of VIETNAMWORKS has right to delete, lock accounts that violate user agreement without notice in advance. E-Commerce Trading Floor of VIETNAMWORKS only takes a role as where employers post job opportunities and candidates post resumes and not prevent or censor the lists offered. E-Commerce Trading Floor of VIETNAMWORKS is not related to the actual transactions between employers and candidates. The result is that the Company can not control the quality, safety or legality of the jobs or resumes posted, the authenticity or accuracy of the list given, the ability to provide jobs for candidates of employers or the ability of candidates to fill job form. Additionally, Members/users take note of the dangers that can occur when using E-Commerce Trading Floor of VIETNAMWORKS, including but not limited to the danger when the body is attacked, involving strangers, foreign nationalities, persons are not old enough or persons make false pretenses. Members should understand that all hazards related to other users who members contact them via E-Commerce Trading Floor of VIETNAMWORKS , it is entirely separate issue of the Member, E-Commerce Trading Floor of VIETNAMWORKS will incompletely concern any danger mentioned above if they occur/or may occur to the Members. E-Commerce Trading Floor of VIETNAMWORKS is not legally responsible and does not control the information provided by the member/other users through E-Commerce Trading Floor of VIETNAMWORKS. Naturally, other people's information may be offensive, harmful, inaccurate and in some cases it will be written with the wrong name or intentionally written. E-Commerce Trading Floor of VIETNAMWORKS is not considered an employer, simultaneously E-Commerce Trading Floor of VIETNAMWORKS will not be responsible for any decision on the job, whether with any reason, jobs posted by any organization on E-Commerce Trading Floor of VIETNAMWORKS. E-Commerce Trading Floor of VIETNAMWORKS shall be responsible for constructing E-Commerce Trading Floor, including some main tasks such as research, design, procurement of hardware and software, Internet connection, policy development for the operation of VIETNAMWORKS and possible scope. E-Commerce Trading Floor of VIETNAMWORKS will conduct deployment and collaboration with partners in the construction of the service system, the utility tools for the transactions of the participants and users on E-Commerce Trading Floor of VIETNAMWORKS. E-Commerce Trading Floor of VIETNAMWORKS shall be responsible for systematically constructing, adding knowledge and information on e-commerce operations, trading legislation system at home and abroad, foreign markets, as well as information related to the operation of E-Commerce Trading Floor of VIETNAMWORKS. E-Commerce Trading Floor of VIETNAMWORKS will conduct promotional activities to promote E-Commerce Trading Floor of VIETNAMWORKS to foreign markets within possible scope and condition, contributing to expansion and connectivity to meet the demand of searching jobs and development in foreign markets of Members and demand for seeking suitable candidates of companies that have need to recruit staff. E-Commerce Trading Floor of VIETNAMWORKS takes measures for timely handling upon detecting either getting reflection on the information/posting of Members that information/posting is not true and/or violates the Regulation and/or violates the law on E-Commerce Trading Floor. E-Commerce Trading Floor of VIETNAMWORKS will support state management agencies to investigate business activities that violate the law, provide registration information, transaction history and other documents on the subjects who have illegal acts on E-Commerce Trading Floor. E-Commerce Trading Floor of VIETNAMWORKS will try it's best in the possible scope and conditions to maintain the normal operation of E-Commerce Trading Floor of VIETNAMWORKS and overcome incidents such as technical errors of machinery, software errors, internet transmission system, human resources, social upheavals, natural disasters, power loss, the decisions of a state agency or a third organization. However, if above incidents unexpectedly occur out of control, or force majeure which causes damage to members, then E-Commerce Trading Floor of VIETNAMWORKS shall not take bear joint responsibility. Register to set up a website to provide services on E-Commerce Trading Floor as prescribed and disclose information that registered on the website homepage. Develop and publicize the operation regulations of E-Commerce Trading Floor on E-Commerce Trading Floor of VIETNAMWORKS as defined in Article 38 of Decree 52/2013 / ND-CP on monitoring and ensuring the implementation of such regulations on E-Commerce Trading Floor. Request traders, organizations and individuals who are the members on E-commerce trading floor to provide information as defined in Article 29 of Decree 52/2013/ND-CP when they register to use the service. Establish mechanisms for inspection and supervision to ensure the provision of information of members on E-commerce trading floor is done accurately and fully. Store registration information of traders, organizations and individuals involved in E-commerce trading floor and regularly update information on relevant changes and supplements. Apply necessary measures to ensure the safety of information relating to business secrets of traders, organizations, individuals and the personal information of members. There are timely remedial measures to detect or get reflection about trading behaviors violating the law on E-commerce trading floor. Support state authorities to investigate business activities that violate law, provide registration information, transaction history and other documents on the subjects with law violations on E-commerce trading floor. Publicize mechanism for resolving disputes arising during transaction on E-commerce trading floor. When members on E-commerce trading floor have conflicts (between candidates and employers or vice versa) or legitimate benefits compromised, it will give members information about the candidates/employers, members are actively supported to protect their legitimate benefits. Request traders, organizations and individuals on E-Commerce Trading Floor to provide information as prescribed. Name and headquarters address of the traders, organizations or name and permanent address of the individual. The number, date and place of issue of the certificate of business registration of traders, or number, date and agency of issuing decision on establishment of the organization, or individual's personal tax code. Telephone number or an other online contact method. Other goods limited for business as prescribed by law. Remove information about the sales of counterfeit goods and smuggled goods, or goods violating intellectual property right and other goods or services with other law violations discovered or get reflection from the authenticity of this information. Ask the seller of goods or services under list of conditional business goods and services on his website to provide Certificate of eligibility to do business for goods and services (where it prescribed by law, it shall have a Certificates of eligibility to do business). Any dispute arising between E-Commerce Trading Floor of VIETNAMWORKS and Member will be resolved on the basis of negotiation. Where no agreement is reached as expected, then one of parties has right to bring the dispute to the competent People's Court to resolve. The Regulation of E-Commerce Trading Floor of VIETNAMWORKS officially takes effect from the date of posting on website of E-Commerce Trading Floor of VIETNAMWORKS. E-Commerce Trading Floor of VIETNAMWORKS has the right to adjust and change this Regulation to conform with operation practice and shall be responsible for informing Members to know on E-Commerce Trading Floor of VIETNAMWORKS. Amended Regulation takes effect from the date of amendment notification. Members' continuous use of the services after the Amended Regulation be published and implemented, it means that they have accepted this amended Regulation. E-Commerce Trading Floor of VIETNAMWORKS and Member agreed to commit to comply with the terms of the content of this Regulation. Any argument, claim or dispute arising from or relating to these Terms and Conditions will be taken to and finally resolved by confidential and personal arbitration before taking it to a arbitration in Ho Chi Minh City and governed by the law of Vietnam. Arbitrators must be legally trained, they shall have experience in the field of information technology in Vietnam and be independent for each party. As mentioned, E-Commerce Trading Floor of VIETNAMWORKS has the right to protect intellectual property right and confidential information through recommendation or similar directives from the court. Members shall compensate and E-Commerce Trading Floor of VIETNAMWORKS (and officers, directors, agents, subsidiaries, joint ventures and staffs of E-Commerce Trading Floor of VIETNAMWORKS) are not subject to any compensation claim, including attorneys' fee of any third party due to or arising from that Member violates this Agreement or violates any law or right of third party. NO AGENT: No relationships of agents, joint ventures, staffs, employers or concession, rights created by this Agreement. E-Commerce Trading Floor of VIETNAMWORKS sends notice to Members by email to the email address that provided by Member to E-Commerce Trading Floor of VIETNAMWORKS during registration. Notice will be deemed as received within 24 hours after the email is sent, unless the sender notified that the email address is not valid. In addition, E-Commerce Trading Floor of VIETNAMWORKS may provide members with legal notices by mail to the address provided during registration. Notice sent to members by mail shall be deemed as received after three days from the date of mailing. In addition to legal measures, E-Commerce Trading Floor of VIETNAMWORKS may immediately terminate these Terms and Conditions or cancel any or all rights of members granted under the Terms and Conditions without notifying Members in advance. 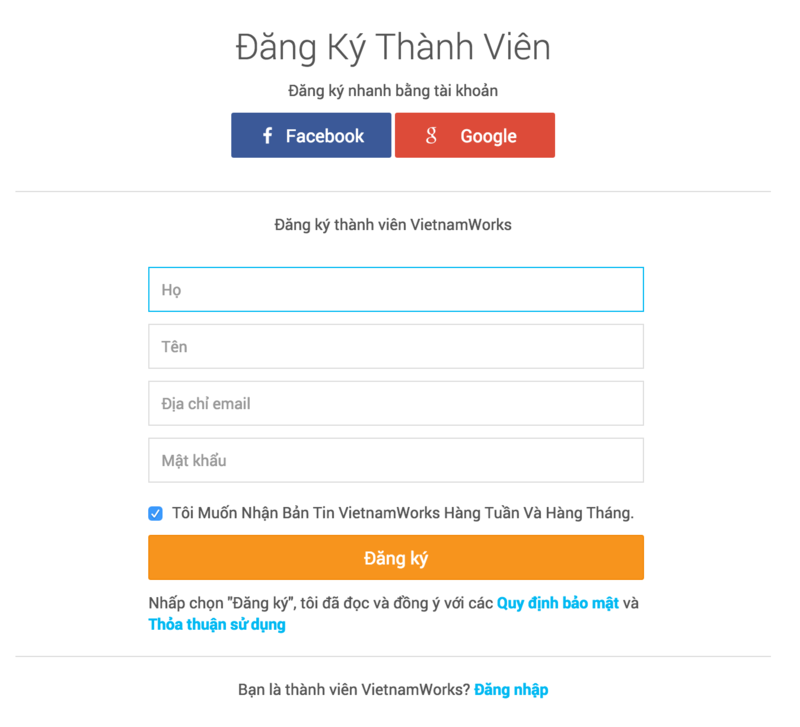 When this Agreement terminated, Member shall immediately cease the access and use of website, and E-Commerce Trading Floor of VIETNAMWORKS, in addition to legal remedies, immediately withdraw all passwords and confirm the account issued to Members and deny access and use of website partly or wholly. The termination of this agreement will not affect the respective rights and obligations (including but not limited, payment obligations) of the parties arising before the date of termination. Furthermore, Members agree that Website shall not be liable to Member or any other person about any results of any suspension or termination. If member are dissatisfied with E-Commerce Trading Floor of VIETNAMWORKS or any other terms, conditions, rules, policies, instructions, or practices of NAVIGOS GROUP VIETNAM JOINT STOCK COMPANY to operate website, then only remedy is to discontinue using the website. Address: Floor 20, E.Town Central, 11 Doan Van Bo Street, Ward 12 District 4, Ho Chi Minh City, Vietnam.